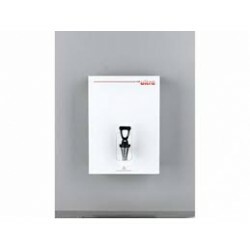 Billi Ultra 300 The Billi Ultra range delivers boiling drinking water. The Ultra range incorporates robust design and proven technology for years of reliability in heavy use applications from commercial kitchens to factory tea rooms. Our Australian designed and made products are quite simply th..
Billi Ultra 600 The Billi Ultra range delivers boiling drinking water. The Ultra range incorporates robust design and proven technology for years of reliability in heavy use applications from commercial kitchens to factory tea rooms. Our Australian designed and made products are quite simply th..
Billi Ultra 800 The Billi Ultra range delivers boiling drinking water. The Ultra range incorporates robust design and proven technology for years of reliability in heavy use applications from commercial kitchens to factory tea rooms. Our Australian designed and made products are quite simply th..
Billi Ultra 1600 The Billi Ultra range delivers boiling drinking water. The Ultra range incorporates robust design and proven technology for years of reliability in heavy use applications from commercial kitchens to factory tea rooms. Our Australian designed and made products are quite simply t..
Billi Ultra 2500 The Billi Ultra range delivers boiling drinking water. The Ultra range incorporates robust design and proven technology for years of reliability in heavy use applications from commercial kitchens to factory tea rooms. Our Australian designed and made products are quite simply t..